An elegant flush set princess cut diamond wedding ring created with 3 spaced, flush set square princess cut diamonds 2mm each. 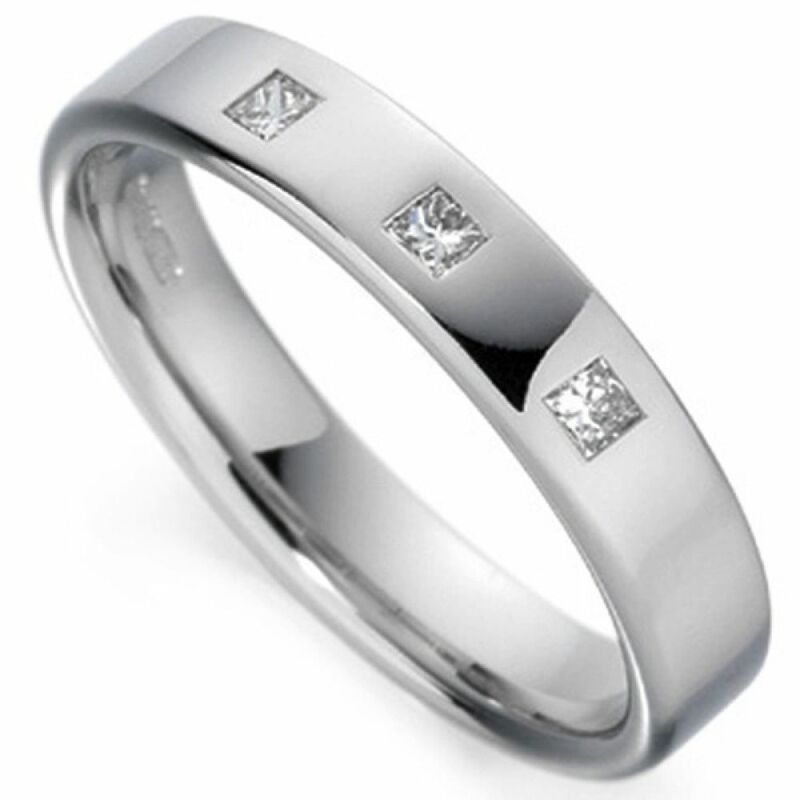 Suitable for both Men and Women, this timeless design features 3 x 2mm Princess cut Diamonds flush set into the centre of the band. The three Diamonds achieve a total Diamond carat weight of 0.15cts, and have been expertly graded G Colour and VS2 Clarity prior to being set into the band. The Wedding Band itself has a flat court profile, perfect for the flush set Diamonds, with the added benefit of a comfortable inner band. This design is customisable by width and precious metal choices from the drop down menus above. Choose between 4mm and 5mm widths, and 18ct White Gold, 18ct Yellow Gold, Palladium or Platinum for the precious metal you would like us to create your Wedding Ring in. Please allow us up to 4 weeks to craft your ring for you, and it will be delivered straight to your door by a trusted courier, presented in our luxury Serendipity Diamonds packaging.